Our most recent client was looking for a neat and tidy way of hiding their belonging in the bedroom along with the TV. After looking around a number of home interior shops, they then came across Furniche. 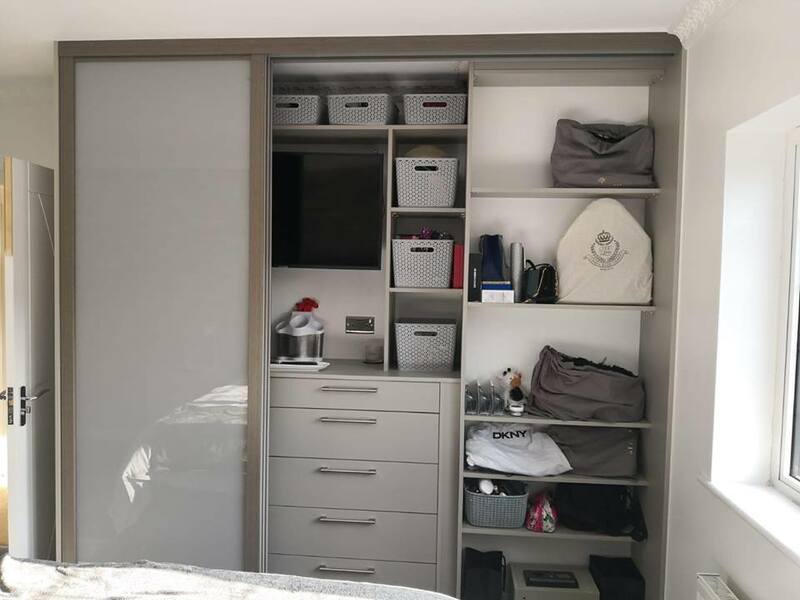 Furniche create bespoke and made to measure sliding wardrobe , which took the eye of our recent client. Instead of using them for clothing purposes, the client was looking for something they could store all their belongings away neatly and tidily. 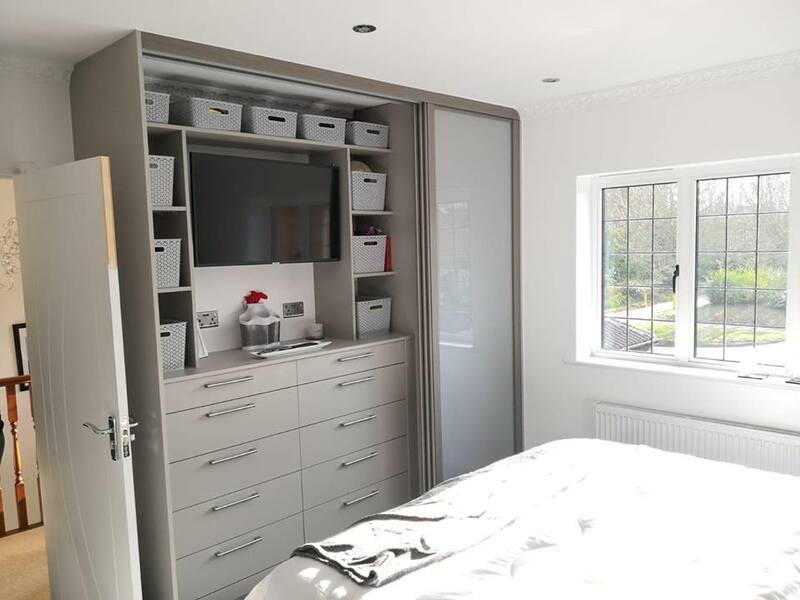 They had a lot of belongings sitting around which the client did not like, so we incorporated fitted draws and alcoves to pop storage baskets in. Our client also wanted somewhere they could place the TV, which could then be hidden once the doors were closed. 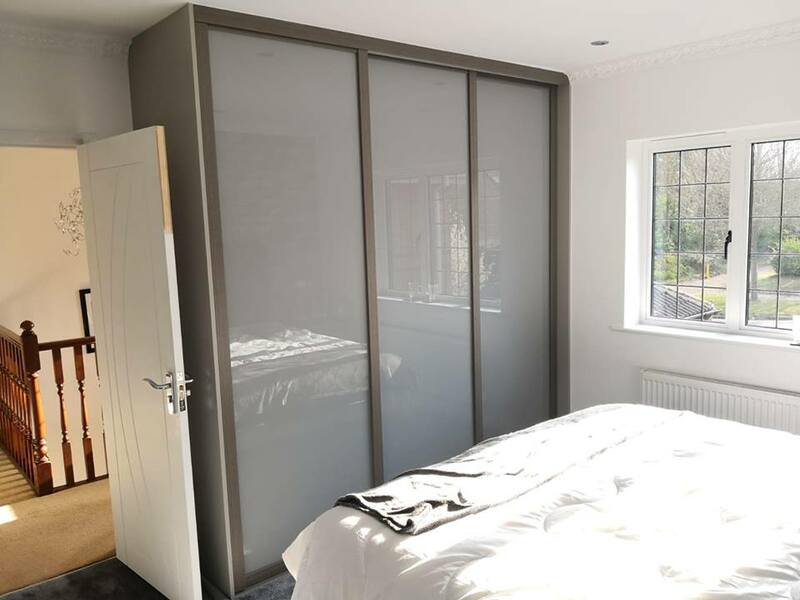 We are delighted with the outcome of our new sliding wardrobes! Furniche created every inch of the wardrobe to our specific needs and we couldn’t have asked for more.